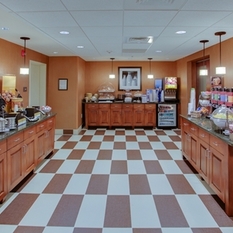 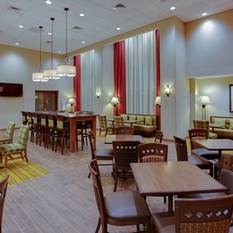 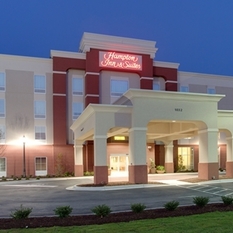 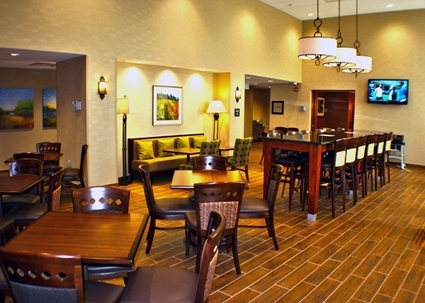 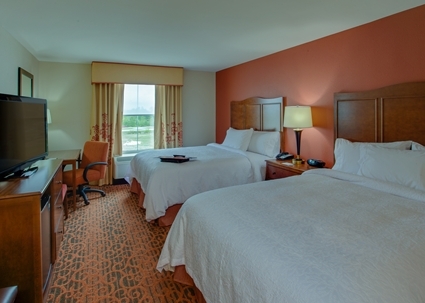 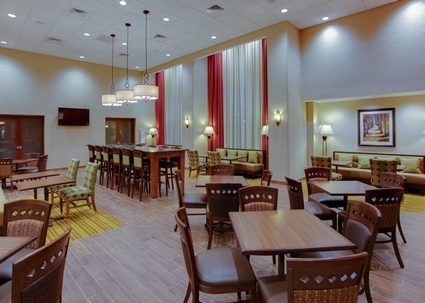 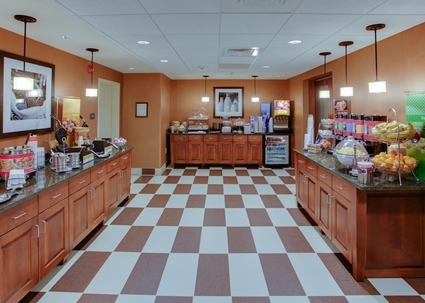 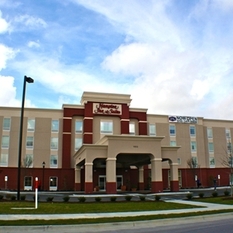 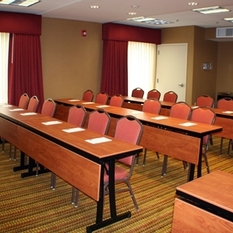 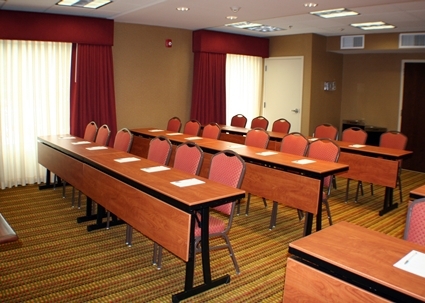 Welcome to the Hampton Inn & Suites Jacksonville hotel. 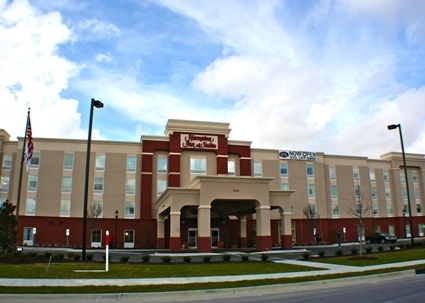 Jacksonville, North Carolina is the commercial hub of Onslow County, home to Camp Lejeune and Marine Corps Air Station New River. 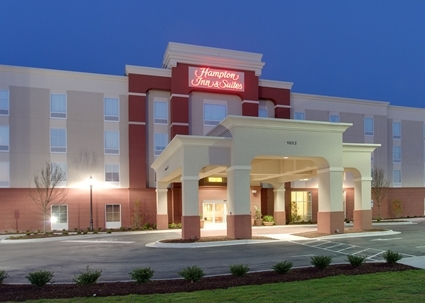 Enjoy proximity to Ellis Airport, North Carolina State Road 24 and US Highway 17, providing easy access to all that Jacksonville has to offer. 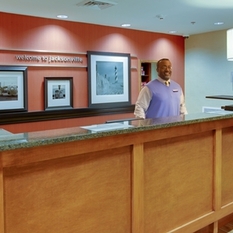 Our inviting Jacksonville, NC hotel offers a fantastic range of amenities to help make your stay comfortable and memorable. 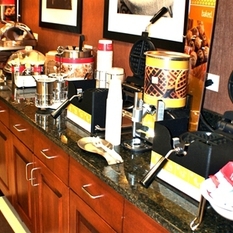 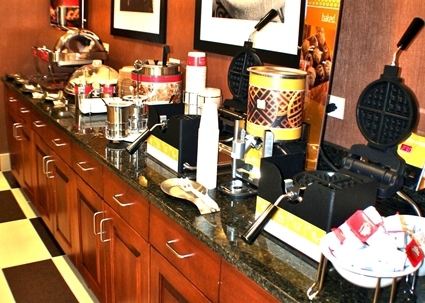 Start your day right with Hampton’s free hot breakfast and enjoy free tea and coffee throughout the day. 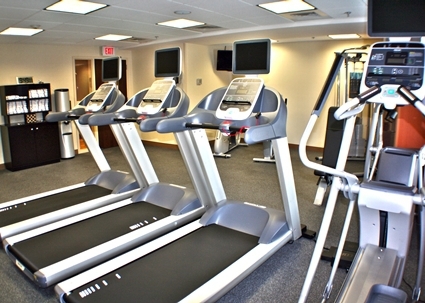 Make the most of your leisure time with a workout in the modern fitness center or enjoy a relaxing swim in the sparkling outdoor pool. 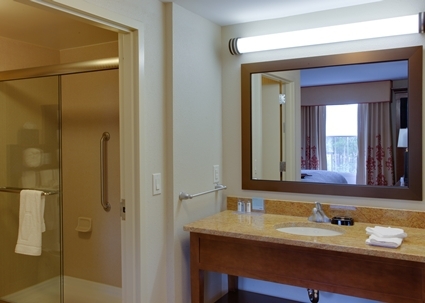 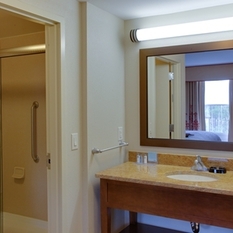 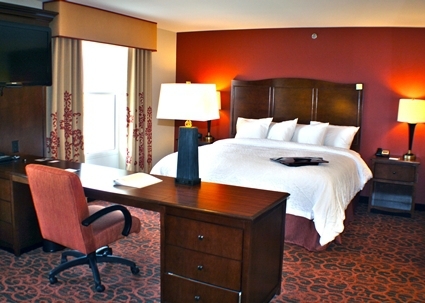 After a busy day, retire to an inviting guest room or suite and unwind on the clean and fresh Hampton bed®. 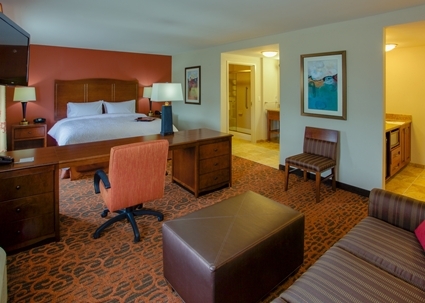 Stay connected with free WiFi access, use the handy lap desk to work from the comfort of your bed or simply relax and watch your favorite show on the flat-screen HDTV. 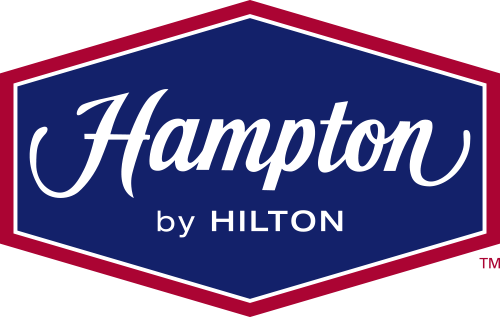 Take in the rich history of this fascinating city and discover the beautiful coastlines, as well as many popular attractions. 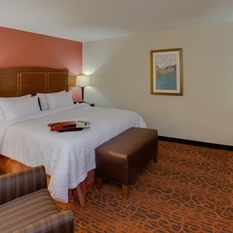 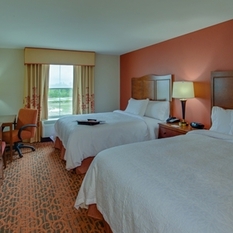 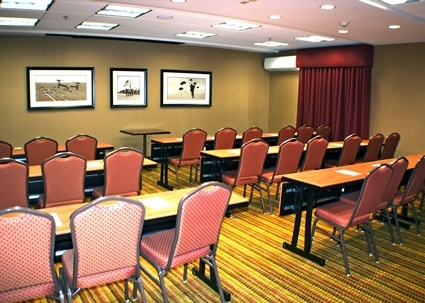 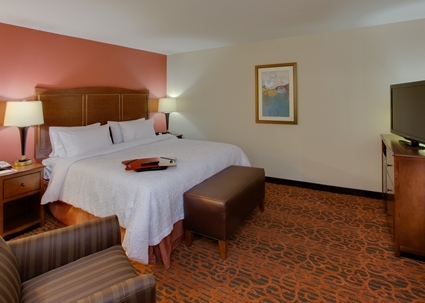 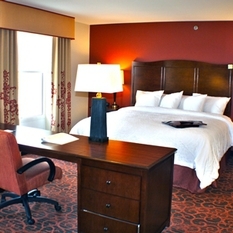 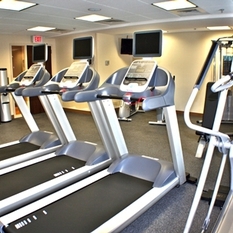 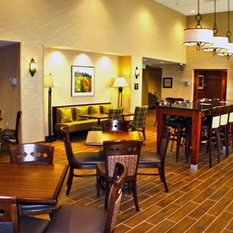 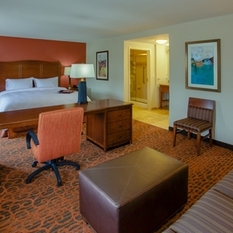 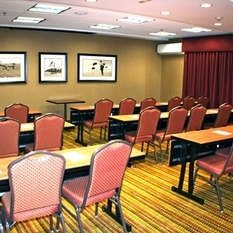 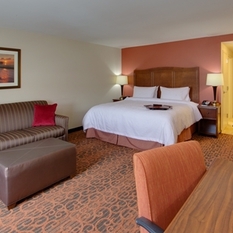 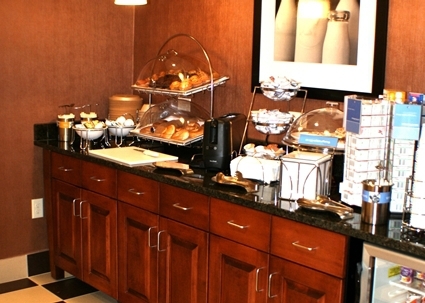 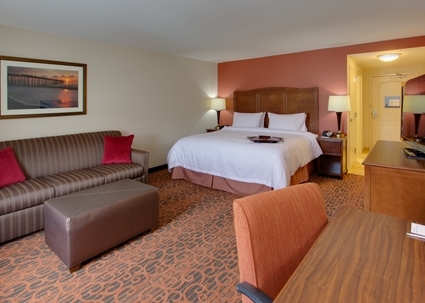 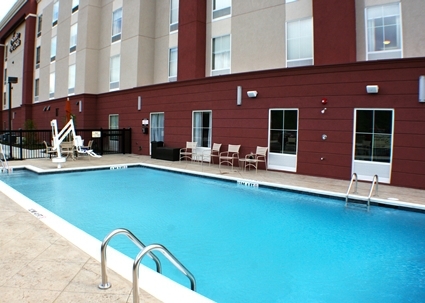 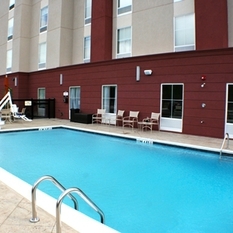 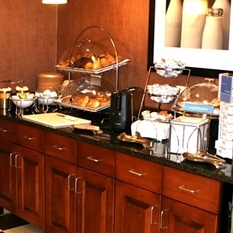 Our hotel in Jacksonville is also conveniently located close to many exciting restaurants and bars. 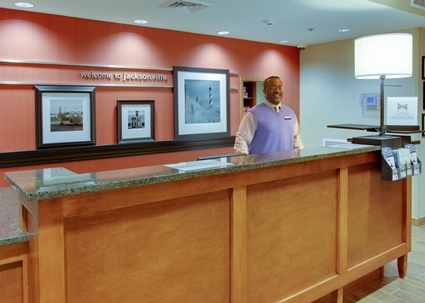 Whether it's work, play or simply relaxation that brings you to the area, our friendly Jacksonville, NC hotel team looks forward to welcoming you.